The new Recently Used Templates feature in Lightning Experience that allows users to pick a template from the last 5 templates used, does not seem to keep a good track of the recently used templates when ending emails from cases. Lightning for Gmail in Summer'18: Composing a new email with attachment and then associating it to a Salesforce record (contact) results in email logging without the attachment. Related lookup search fails to load for the first time with "Log Email" action. In Summer'18 release, events are syncing using the default field mappings even though field mappings have been customized in the Lightning Sync configuration. The event sync worked as expected with the custom mappings in Winter'18 release. If the My Domain value in Salesforce is changed Lightning for Outlook will no longer be able to connect. 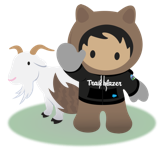 When clicking the "Add to Salesforce" button for an unmatched contact and the Lightning for Outlook has many quick actions for the people object the list will be truncated. This especially happens when there are only a few email addresses in the email being accessed. Einstein Analytics - Dataflow Digest fails with "QUERY_TIMEOUT: Your query request was running for too long." A known issue is causing some sfdcDigest actions to fail with the following message: Error in bulk query: QUERY_TIMEOUT: Your query request was running for too long. When the user sharing is set to private, the territory related list in Lightning, is not properly displaying the related users. The users are still part of the record and they will appear on the list when viewed in Classic. When History Tracking is enabled in a scratch Org on a standard object and/or standard field that metadata change is not pulled down with a force:source:pull. Result is that History tracking changes cannot be pushed to another Scratch Org. The login history page shows Windows 8 under platform when the login was from Windows 10. This also happens sometimes for Windows 7. A deployment of visualforce components fails with an error: "Unsupported attribute myAttribute in <c:myComponent> in myVfPage at line 369 column 50"
When creating a Field Set, upon edit in the Page Layout Editor, address fields are duplicated rather than displaying individual values such as billing city, billing state, billing zip code. Instead, users will see "billing address" repeated multiple times. Orgs with namespace see "To access this information, ask your admin" error on Related Record component. CSP users can view non-portal/community contacts in Contact list view. When the user attempts to view the detail page of the Contact there an 'Insufficient Privileges' error message. Code coverage shows incorrectly as 0% when deploying change sets with the option "Run specified tests"
Incorrect percentage display (0%) for Change Set validations/deploys with insufficient code coverage. Missing columns in Related List of many-to-many custom object in S1 and Lightning Experience. In S1 and SFX, some columns in many-to-many custom object related list are not displayed. Some fields being used as report filters may not have standard filter operators available (equals, contains, starts with, etc.) within the Lightning Report Builder. From Summer 17, Under Lightning Experience, The links created using <apex:outputLink> tag redirect to classic view instead of lightning view. But in Spring 17, This redirects to the lightning view. In Summer ’18, the Case.Owner.NameOrAlias field is not displayed as a valid column on the relatedCasesRelatedList. Note that this may affect other Objects, but the fix should encompass all affected Related Lists. System.SObjectException is not thrown while executing below apex code without querying that field after put statement. Page navigation fails by "Failed to execute 'postMessage' on 'DOMWindow': The target origin provided ..." after switching tab of apex:tabPanel in Lightning Experience. You can see this error on browser console. Clicking "View All" on a Lightning records related list is limited to returning 100 records instead of the actual of number of records available. "Required field is missing: standardValue" when deploying metadata retrieved when standardValueSet has not been created. Deployment of invalid standardValueSet metadata will result in the error: "Required field is missing: standardValue" because this metadata can be retrieved when standardValueSet isn't created. When unchecking the "Do not create a new opportunity upon conversion" checkbox on the lead convert screen if the "Do not create a new opportunity upon conversion" lead setting is checked an opportunity will not get created. This issue is specific to Classic. Spanning reference to a picklist field in a component visibility filter on a Lightning Page always returns 'true' when picklist field is not null. When a component visibility filter on a Lightning Page makes a cross-object reference to a picklist, that criteria unexpectedly returns 'true' (causing the component to be displayed) when using the Equals operator and the picklist field is not null. Convert lead status value is not translated on lead conversion page in Lightning. Convert lead status value is not translated on the new lead convert model in Lightning UI. "Create new record" global action does not work in Console if picklist fields are added to the action layout. If you remove all picklist fields from the global action layout, the create new record form is displayed and works fine. Salesforce to Salesforce will show a communication error when clicking on the "Subscribe/Unsubscribe" button. LEX : If view is overridden by a VF page, access level error occurs when clicking on "New Note" button in "Notes & Attachments" related list. In Lightning, when you view the details for Case Comments (from the Related List), the line breaks are not displayed correctly. generic error during lead conversion when choosing to use existing opportunity if the org does not have TM enabled and has forecasting enabled. Users receive generic error during lead conversion when choosing to use existing opportunity if the org does not have TM enabled and has forecasting enabled. Data disappearing - When users navigate between parent record sub-tabs on any approval process, Data disappears and user is unable to view outbound data to approve. Process fails if it updates the StateCode and CountryCode picklist values on the record followed by additional update to the same record. External Object Reports fail with error message, "Unsupported Operation. Updates can’t be made during maintenance"
Reports on External Objects (particularly those in which the external object's external ID field is selected, either directly or indirectly) will fail with the error message, "Unsupported Operation. Updates can't be made during maintenance." When cloning a Territory Model, you will get an error if an inactive user is the owner of Territory Association Records. In Lightning, Show More link in Announcement of Chatter Group is not working. Clicking Show More link does not display all posts. Users may notice that colors they've added to their font are missing when the Survey is previewed or when navigating to an active version of the Survey. Validation breaks UI in Console Pinned Headerpages. In Lighting and Classic, logging into Twitter or Facebook displays URL No Longer Exists. This is redirection issue and user is able to log into Twitter or Facebook even error page is displayed. Update Record actions on email messages are not rendering appropriately, the fields you select are misaligned. When a system admin enables the Contacts to Multiple Accounts within the org, the 'created by' or 'modified by' may appear in areas within setup as an inactive system administrator. Admins may see internal server errors when trying to update their email alerts that are associated with account team member roles that have been previously deleted. In Chrome an issue has been observed in the Lightning Console where multi-select picklists do not save the selected value if they are clicked on when partially obscured from view. Cloned sandbox not able to be refreshed, throwing an error with -2064209380 in it. When a sandbox clone is refreshed by a user who is different than the user who created the original clone copy, the user who refreshed will not receive an email notification of completion. List navigation links are unresponsive when adding Users to a Territory (for Original Territory Management) in Lightning. In Lightning, Account Team "Contact Access Level" can be set when Contact Org Wide Default is "Controlled By Parent"
When using a VF page with sforce.console.isInConsole() in the Open CTI widget in a Lightning App the result returned is always true. This method works correctly returns true for a Lightning console app, but returns false for a standard lightning app. Knowledge Record Type order is random in Classic UI when clicking on the "Create Article" button in the Classic Knowledge Tab. The customer is facing an issue when working with email templates retrieved through Metadata API. Irrespective of the folder name specified for the email template in package.xml, we are able to retrieve and delete the email template from the org. There is no function/action for "Share" or “Answer” on Chatter Question post in Community for external unauthenticated guest user. Character limit is not enforced in Lightning Experience for a Text Area field in a Create Task action (but is enforced for the same text area field in a Create Event action). In LEX Console, editing a record in a Console tab prevents loading of more records in the originating tab with a list view. Issue also found to happen for Accounts and Opportunities. Inconsistent formatting between Time fields and time portion of Date/Time fields. Macro Builder does not retrieve values larger than 999 characters for long/rich text fields. This can result in overwriting missing value retrieved. .PNG images that are uploaded using import articles will not show in IE. Works in chrome If you manually insert the .PNG Image from the user interface, the image will show in IE. Report charts in the Utility Bar display the message "Enable Tab Navigation for This Chart". This is true for Core report charts as well as Einstein Analytics dashboards. In some Communities, accessing the URL: https://communityDomain/communityPath/entityId will route to an incorrect page causing an "Invalid Page" error. In LEX/Communities, Order records visible in related list to users who lack access to those records. In LEX, Salesforce 1 and Communities, users are able to see Orders in the Orders related list on Accounts even though the user lacks sharing access to the order record. 2 cases are created when user initiates chat if Snapins deployment has Offline Support QA associated with it. Key Deals filter dropdown opens a panel displaying a list of list view options a user can select from. When a user clicks on the scroll bar to manually drag the list up and down, this closes the menu. Users see error when trying to parent a contract record with other specific contract records. This does not happen with all contract records. R&D is working on resolving parent contract records where root ID's are null. ArticleCaseAttachCount cannot be added in a formula when you define a new custom formula field. When changing listviews involving objects not included in a Lightning App, the tab names will duplicate. IE11 - Incorrect width on various setup page in classic. The Notes "Add to Records" button can only be clicked once, if you close it with the "X" instead of the "Done" button. With the second click the "Add Note to Records" panel doesn't open. There's no error message. Cloning a profile does not copy “Session Times Our After” and “Session Security level Required at Login” settings in Session Setting. When the labels for objects are customized with longer names, they overlap in the Lead Convert window. Out of process memory issue when updating opportunities during the process of standard fiscal year update. When reporting on a series of events, Lightning Experience reports will display the main "Parent" event record while Aloha-based reports (and exports from both Aloha and Lightning Experience) will not. The highlight for text in the Customer Service Community is poor. "Save As" does not show all the report folders the user has "Viewer" access in Lightning when the user is not the report owner. However in Salesforce Classic the user can see all report folders with "Viewer" access even when they are not the report owner. Admins are unable to create or edit email quick actions if there Enhance Email permission is not enabled. In some instances this will throw an internal server error when trying to edit existing actions. Similar to the behavior explained here: https://success.salesforce.com/issues_view?id=a1p3A0000001CDLQA2 This Known Issue is to track the behavior present in other Opportunity-related entities (OpportunitySplit, Quote, QuoteLineItem, QuoteDocument). The "Contact Role" and "Contract Contact Role" labels in the Contract's Contact Role creation page are not translated to end-user languages. In Lightning, opening Transaction Security Setup page with non-English user language displays error message. Due to this list of transaction security policies and Edit Preference / Create Policy button are not displayed. Some customers may observe that the All Activity History page in Lightning displays the API Name value, for the selected picklist value on a picklist field, rather than the Values value listed under Setup, when the API Name for the value doesn’t match the Values value under Setup. Passing number parameters in URL path when executing External Services APIs results in execution exception error. An exception in External Services execution occurs when passing number parameters within URL paths. Flows using External Services Apex classes that pass these parameters also result in execution exception errors. The "is not a valid email address" error message is not translated to end-user languages. The error message shows partially in English, partially in the end-user language. All-Day Event reminder is defaulted to the next day in Lightning Experience if the timezone is close to GMT, such as GMT + 1. The tooltip text in the "Add to Records" action on Notes, in Lightning, doesn't account for the resolution of the screen or the size of the window, making the tooltip text to be "out of bounds" and impossible to read. State value is dropped after processes update field on Service Appointment. When a non-System Admin changes the the Account on an Opportunity they will lose access to the Opportunity if they only have Read access to the Account and Write access to the Opportunity is granted to them via Opportunity Teams. Date.valueOf(fieldValue) method modifies the value of Datetime type argument unexpectedly . Cannot give access to a custom object if that object has a Master-Detail field with Time Slot. SAML JIT "Chatter External User" fails with "Unable to map an unique profile id for the given profile name"
SAML JIT "User.ProfileId=Chatter External User" attributes fails with "ErrorCode=16&ErrorDescription=Unable+to+map+an+unique+profile+id+for+the+given+profile+name" *Works when using the ID of the profile. Event record created using “Related to” option within ContentNote is not automatically linked the note from which it is created. An issue has been identified with the Lightning Experience in Internet Explorer 11 where opportunity stage buttons on the opportunity will become unresponsive It has been determined that this issue is the result of an unintended scrolling behavior only observed in IE11. - Unable to use CORS with Bulk API 1.0 - Actual Result. OPTIONS request failed with 400 Bad Request, InvalidSessionId. - Expected Result. OPTIONS request succeed with proper response. MailingCountry field on Contact and BillingCountry on Account is null when a Lead is converted on an org where State and Country Picklists is enabled. “Related To ID: id value of incorrect type: 0XB0x000000XxXXXXX” error observed when attempting to update Task record created as a result of ListEmail. Summer'18 - Hovering the mouse over a link to Wave Dashboard in Chatter shows error. Users may get an internal server error when accessing Quotes Settings in Salesforce Classic. Developer sandbox copy stuck during export phase. If you create a new Page Layout in WO (or in Work Order Line Items), the Audit Trail reflects no changes. If you create a new Layout in, say, Accounts, the Audit Trail says: "Created Account page layout Page-Layout-Name-Here". In Lightning. link for standard field is broken when trying to access "Related Lookup Filters" of standard fields on entity setup. After being set up, Opportunity Update Reminders are not currently being sent out after they meet the criteria. Some customer may have observed that SharingRule metadata is not pulled using source:pull, however the same works for the Object and Page layouts. Using the Lightning Report Builder, you may get the "Invalid date range" validation error when selecting a relative date in a standard filter. This issue can be reproduced with different relative dates. Analytics - Pinning an app will either not appear to have any effect, or will cause an error: "No manage access for asset"
Metadata Deployment fails if there is history tracking in custom lookup field with look up filters, when the filter refers to a field with tracking to custom object in the same deployment transaction. UserInfo.getUIThemeDisplayed() in Apex code which is called from Lightning Component within Aloha UI returns "Theme4d" unexpectedly. In lightning, when the first quote creation is cancelled or not saved, the second quote successfully created will generate unnecessary quote line items. Lightning for Outlook - "To relate this event to Salesforce records, first save the event." appears yet the calendar entry is saved. Lightning for Outlook "To relate this event to Salesforce records, first save the event." appears yet the calendar entry is saved. In Lightning, "Review the following errors" may be displayed when inline editing the Related To field on a Task. This can happen when the field is populated with a record on an object that has custom record types, but is being updated to a record on an object that has no custom record types. In Summer '18, when an Event is accessed from the Calendar, then deleted, upon being returned to the Calendar the Event is still visible. Summer '18 publisher.js updates can potentially cause post method to fire unexpectedly in mobile environments. With the Summer '18 release, there has also been some changes around the canvas publisher.js. It has been observed that post methods have the potential to get triggered if an error is returned. Our team is reviewing these updates further to eliminate this scenario. With PersonAccount enabled, sfdx force:source:pull fails to retrieve person account metadata for RecordType changes. It tries to find PersonAccount RecordType on Account and fails with: ERROR: Entity of type 'RecordType' named 'Account.PersonAccount' cannot be found. A SOQL from a community portal user could fail with Missing Expression ORA-00936 if conditions in the WHERE clause are concatenated with the OR operators and one of the conditions refers to a foreign key table which has MASTER-DETAIL relationship fields. When enhanced email is enabled in Lightning for Outlook or Gmail settings, email from Leads associated to related records with LFO or LFG are not added to the activity timeline of the record the email was associated to. Spring 18' Email Message is showing as an accessible Tab in Mobile Left Navigation, but it should not be present. Feed Item for email messages contains no word wrapping for long strings in Lightning and Lightning based Communities. This causes the string to not properly break so the string does not fully show withing the feed window. Opportunity team members are being removed from Opportunities when you delete the user from the default Opportunity team. The Opportunity Split still remains on the record. When picklist fields are used in lightning:recordEditForm, Community guest users is unable to view the form. When these fields are commented out, the form displays correctly. Errors like: [Guest users are not permitted to perform this operation.] are seen in browser console. Record home not fully refreshed after changing the owner and the current user no longer have access to the record. In Lightning Experience and Communities, when losing access to a record; for example, when userA changed ownership to userB; the page doesn't refresh. As a result, the record remains visible to userA until after the page is fully refreshed. Remove file 'x' has moved up(incorrectly) on contact support page in community. This issue occurs Lightning Experience only. At the Email Message record page, Text Body Field will be editable at inline edit screen. At the situation, if Text Body Field has signature as default, Email Message alerts "Can only be updated in the draft state" message when saving the Record. When Lightning Experience is being used, clicking on "My Settings" from within Analytics Studio causes the following error to appear: "Page doesn't exist Enter a valid URL and try again" This is because the URL is incorrect and not appending the "/home" part of the URL. Custom Quick Actions do not display in List Views added in Lightning pages configured in Lightning AppBuilder even when “Hide List View Action Bar” is unchecked in the component property. Record List component that utilizes the Full Layout does not display using the full width of the page when using themes other than Customer Service. In Lightning Experience, error 214527085 or -393623845 may be displayed when setting the scope to Articles in Global Search, then selecting Advanced Search in the Global Search options. Process Builder saves Date value as -1day for UTC+ time zones. When System time zone sets UTC + and input Date Value in "Define Criteria for this Action Group" in Process Builder, it saves Date Value as -1day. Discrepancies in behavior for setInsertTemplateBody in Lightning as compared to that in the provided documentation. Links on case deflection list will not work when the 'Subject' or 'Description' field labels are renamed on the Case object. When results are displayed, and the user attempts to click any of the links, the link won't open the target and the deflection list results appears to be removed. When multiple Entitlement Templates are associated with a Product, all resulting Entitlements on new Assets unexpectedly have the same 'Start Date' and 'End Date'- even though templates have unique terms defined. One of them will be correct, while the rest may be wrong. LCC(Lightning Container Component) iframe fails to load resource by the following Content Security Policy error when sandbox has uppercase name. Refused to display 'XYZ' in a frame because an ancestor violates the following Content Security Policy directive: "XYZ". When you enable the state/country picklist feature, Service Appointment is no longer copying down addresses from the parent work order when using the Auto Create Service Appointment on Work Type. When a date widget has a relative value selected, other date widgets on the dashboard will appear to not facet. The faceting is applied in the background, but the widget UI does not reflect this. Redirect to the record list page occurs on a custom object detail page when the record name is in the form of a record Id when using object pages. Record detail page fails to load for custom objects when the record name is the same as the record ID when using object pages. The page displays the following message: Looks like there's a problem. Access to this list view isn’t supported. Contact your Salesforce admin if you need help. In Summer '18 environments: When Opportunity access is disabled, Users who land on a Home Page that contains the standard ‘Performance’ component will find that every Navigation Tab 'dropdown' that overlaps this component is grayed out. When a community uses a custom Lightning Bolt Solution for its template and uses Content Assets, an internal server error is thrown when loading Community builder. This occurs in sandbox orgs that have been refreshed. State and Country fields visible to Community Users regardless if they are set to restricted on Community User Settings page. State and Country display on the User Profile page when viewed by Community users regardless if “UserPreferencesShowCountryToExternalUsers” and “UserPreferencesShowStateToExternalUsers” is set to False on the user record. This only occurs when State and Country picklists are enabled on the org. Standard Edit / Delete actions within Lightning Related Lists are not always displayed in a consistent order for custom objects. In LEX Quote Line items are not getting created on Quote if a new contact is created in quote creation process. If an existing contact is selected from lookup quote line items along with quote are created fine. In aloha, new contact creation during quote creation is not available. In orgs where multi-currency is enabled, when viewing an opportunity record in Lightning, the chatter feed item corresponding to the opportunity being created will display the amount in the corporate currency as opposed to the currency chosen while creating the opportunity record. Back button causes the Filter button on action bar to not function. If you call a Dialog from another Dialog, and you then later delete that Dialog, it can cause issues with the chat not routing to the Bot correctly. The object tab styles are ignored in Visualforce Page with a standard controller in LEX. In Classic, when all Date and Date/Time fields on a Page Layout for Tasks are set to Read-Only, the date picker will not display when setting a reminder. Hyperlink of Formula Field opens the VF page differently from text when the image source is a link. Cannot add single Related List for Person Account in LEX page if the Related List is not available in Account layout.